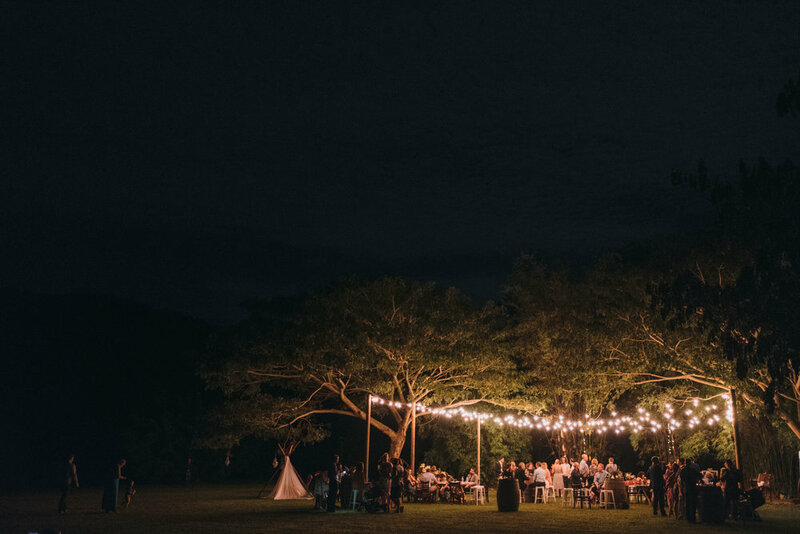 Located in the beautiful Little Mulgrave Valley near Cairns, LALOLI is a garden of love and laughter, an exclusive and private, traditional family garden that is simply perfect for romantic garden weddings or other events. Surrounded by rivers and mountain ranges, LALOLI is a garden of intimate enchantment and romance, a uniquely special place that is perfect for you to develop a bespoke theme for your unique occasion, whether it be classical and elegant, casual, country, rustic, funky, retro or any other style. LALOLI is surrounded by our family sugar cane farm, and includes our old farm shed, which is now the "Sugar Shed" - a sweet and awesome rustic undercover party space. Create magical memories of your unique and special celebration, by choosing your own styling, your own theme, your own suppliers, and doing your own set-up and pull-down, or ask us for assistance with planning, styling, set-up and pull-down of your event. While you are having your wedding photographs taken either in the numerous locations throughout the garden, or at the wild rivers nearby, your guests can explore the grounds, play old-fashioned games on the lawns, and be treated to an "in-between" party on the Pyramid Lawn or on the Western Lawn in-between your ceremony and reception function. Throughout your event, you and your guests are welcome to wander through our "wild wood" - a wild garden with secret and romantic places, delight in the night-scented blossom, and thrall to the unusual beauty of the night bird calls. Every wedding at LALOLI is a unique and special event – memorable for you – and for us. We want our couples and their guests feel "at home" and part of our family for the day. Some time, last century, I arrived at my beloved's home with two small boys, and my gardening tools. There was no garden here then, just a few palm trees, a lychee tree and a mango tree, and a sole valiant ixora. We were surrounded by fields of sugar cane that came right up to house. What an opportunity to establish a garden! I grew up in the country: my childhood memories are rich with images of romantic, old country gardens. Those gardens were cold climate gardens, a world away from the hot wet tropics that called me then, and keep me now. I loved the sprawl of those old gardens, with their meandering paths wandering under huge trees, by fully mature camellias and roses carelessly dropping their abundant fragrant blossom, and leading to wild, secret corners filled with maidenhair fern and moss. I was certain that fairies sheltered under those delicate fronds, and part of me remains convinced that there is a special magic associated with neglected, quiet and forgotten gardens. Another century, more small boys, and the garden is finding its feet, finding its purpose. My beloved, then a farmer, now a gardener, is with me in this shared dream of a beautiful place, a place that we share with other romantically minded lovers who wish for a place that vibrates with times past, and anticipates an endless future. A place that satisfies our needs - fruit trees, a tropical winter vegetable garden, fragrant flowers. A place for grandchildren to be lost in imagination, for family and friends to find peace and connection with our history on this land. A place where stands of mature trees cast pools of cool, deep, dark shade, and where birds and butterflies abound, where forgotten corners reveal surprising unseen beauty, where wildness is always just a moment away! The garden found a name, a name that is the essence of us: laugh, love, live: LALOLI!